If there is one thing that separates the real from the fake, it’s the stuntmen that continue to risk their lives in movies. Instead of the use of computer generated images, there are quite a few movie makers that prefer the real thing. However, the risks involved can be dangerous to the performer, but that makes it all the more entertaining. 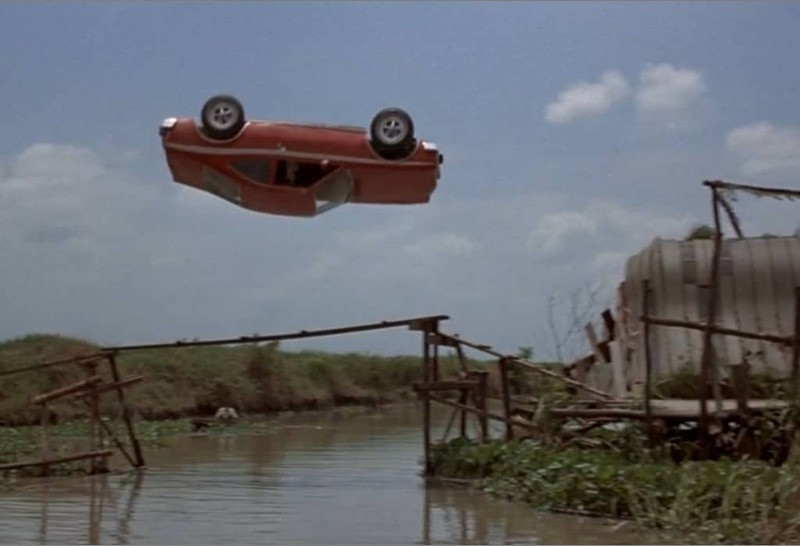 The list below contains some of the most outrageous stunts ever performed in movies. 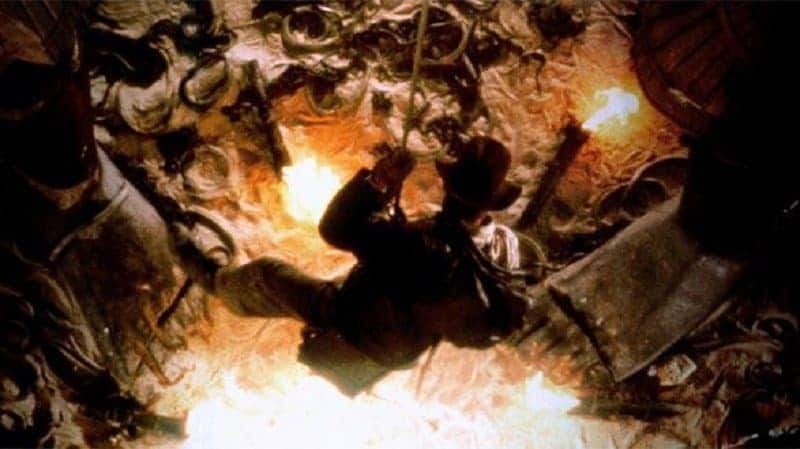 Take a look and find out which films used real stuntmen, instead of computer generated imagery. 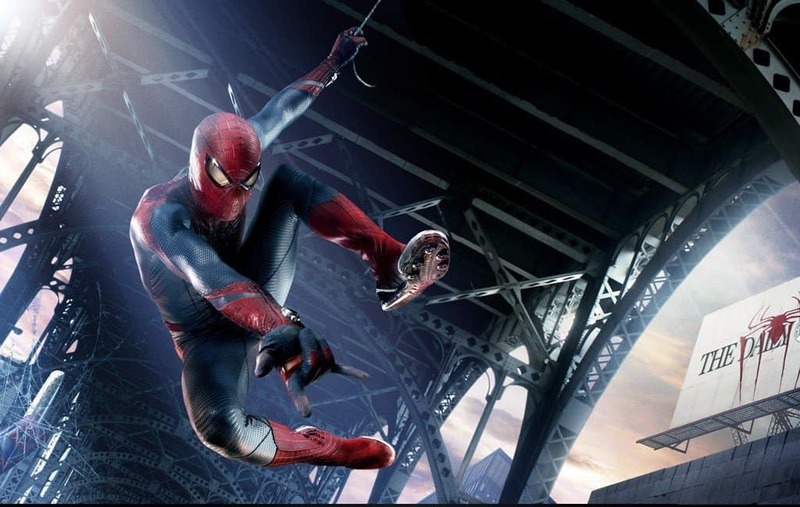 Instead of using digital imagery for the web slinging and stunts performed in The Amazing Spiderman, lines were installed. The film was put together using a bunch of lines hanging for stuntmen to swing on them in order to pass above cars and even within a distance of a semi-truck. The car chase in the movie Bullitt was filmed with reckless abandonment. 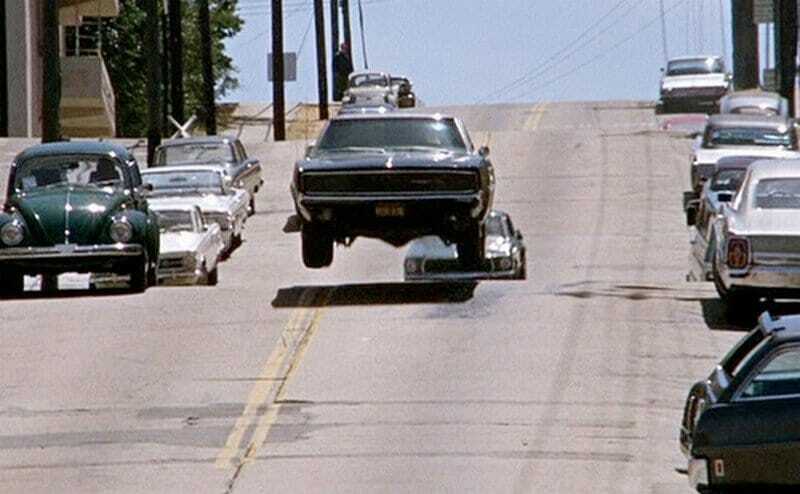 The chase scene was so dangerous that a camera was destroyed and one of the cars filled with dummies spun out of control and burned the set down. However, when final edit was completed on the movie, it appears as if the fire scene was intentional. 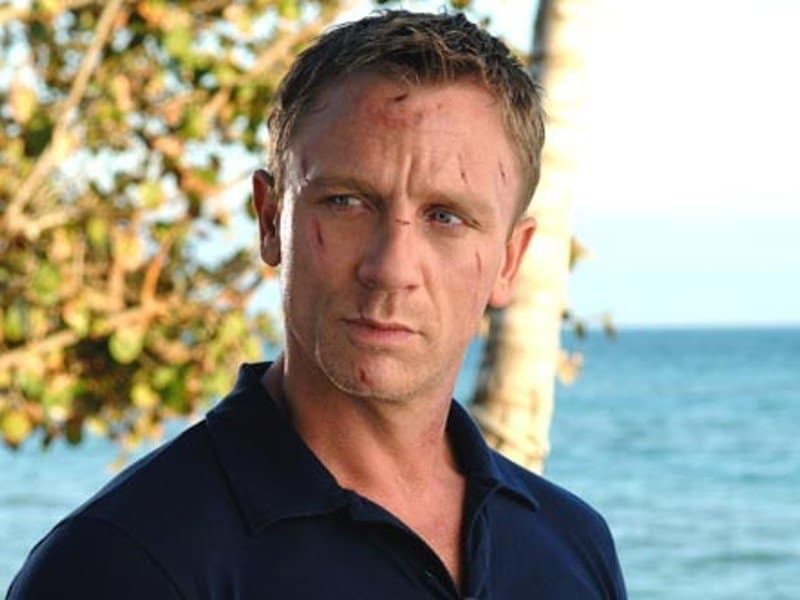 Casino Royale, the bond movie featuring Daniel Craig, caused him to sustain a multitude of facial injuries. Throughout the stunt scenes he was faced with many challenges including a jump from three stories on to a moving bus. 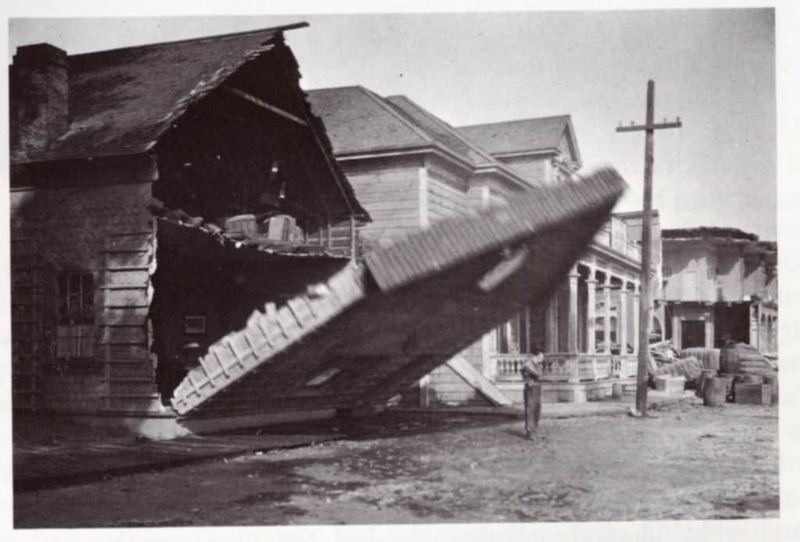 Buster Keaton was known for performing some of the most dangerous movie stunts. In the movie Sherlock Jr. he actually broke his neck during a stunt scene with a water tank on a railroad. However, his most dangerous stunt came while he was performing a gag and a house fell on him. Keaton was able to escape through an opening in a window. 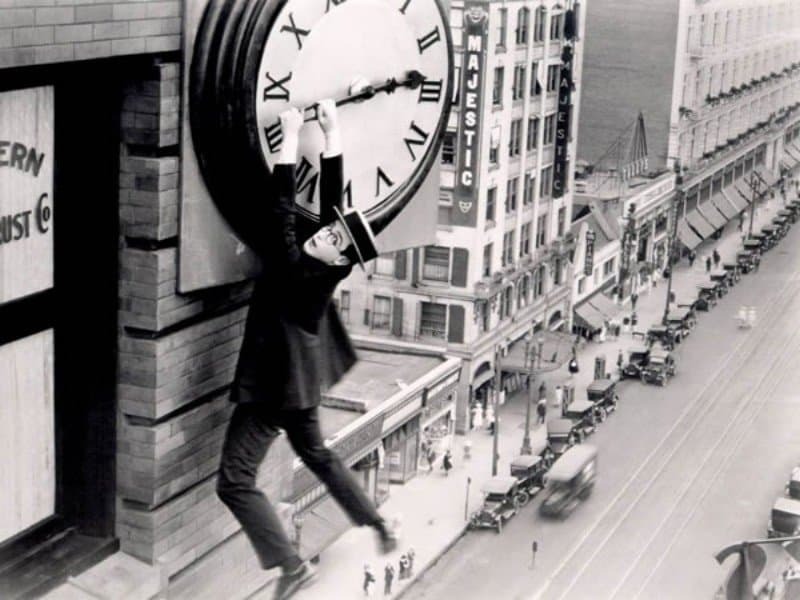 Harold Lloyd was featured in over 200 movies, performing most of his own stunts. During his film Safety Last! he walked across skyskrapers and hung from a clock tower. 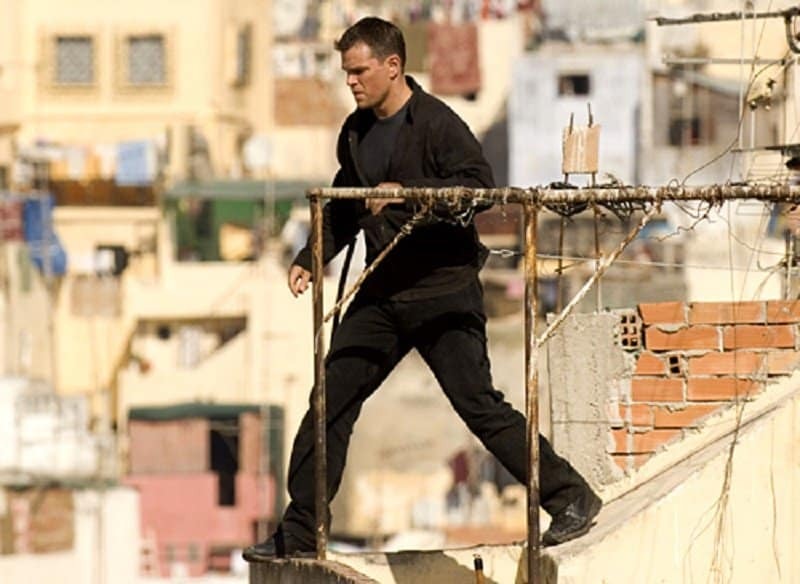 Matt Damon performed the majority of his own stunts throughout the Bourne film series. However, one of the most dangerous stunts was when he had to jump off a building and a bridge. Christian Bale’s most dangerous stunt was performed during the Rescue Dawn movie. 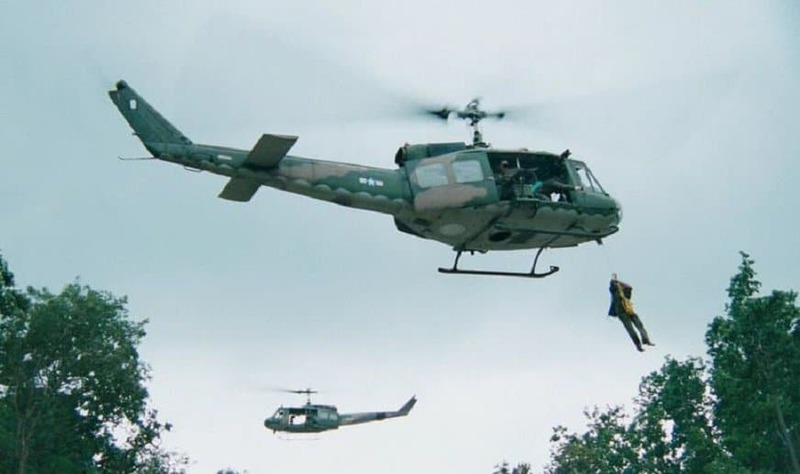 During the helicopter scene, Bale hung on a rope below the helicopter as he swung around. 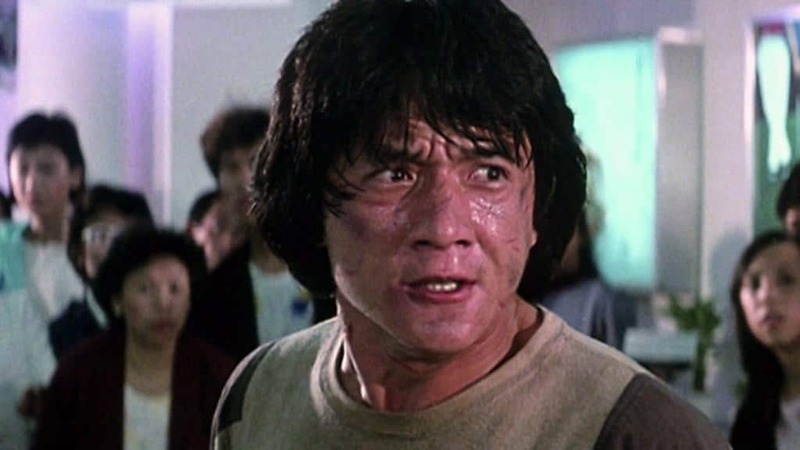 In the movie Who Am I?, Jackie Chan performed one of the most outrageous stunts. He actually slid down the side of a 21-story building that was slanted at a 45-degree angle. During the movie Hidalgo, the Lord of the Rings trilogy star Viggo Mortensen had to race through the woods on a horse at breakneck speeds. This was a stunt that no stuntman wanted to perform. 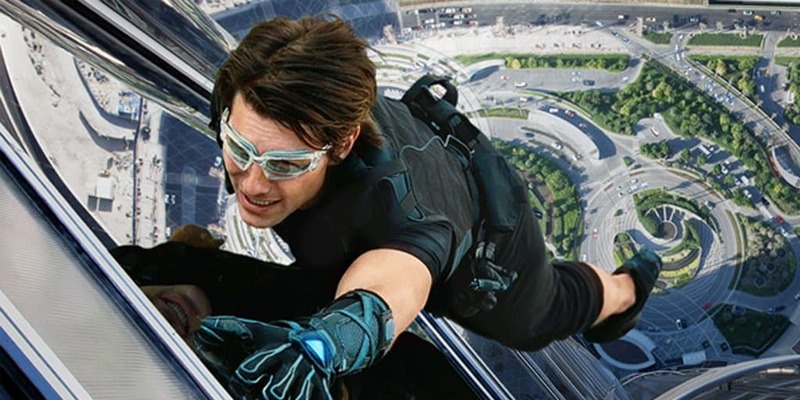 Tom Cruise attempted several stunts in Mission: Impossible. But the one that could have killed him was the scene in the restaurant with several aquariums, which broke and sent shards of glass flying around. In addition, over 16 tons of water came rushing toward him. Keanu Reeves had to jump from a car to a bus during a high speed chase. In order to perfect this scene, he had to practice several times a day without the director’s approval. When the director realized that Reeves was going to perform the stunt himself, he almost had a panic attack. Harrison Ford completed all his own stunts during the Indiana Jones films. It was considered outrageous for a 65 year old man to perform such dangerous stunts, which included swing from a rope over an open pit. 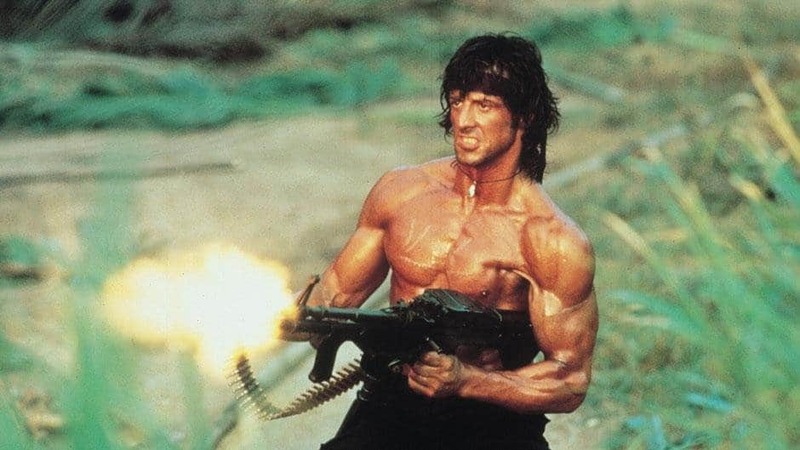 Sylvester Stallone was known for performing all his own stunts in the Rambo movie series. During one of his most outrageous stunts, Stallon jumps off a cliff and hits tree branches on the way down to break his fall. While performing the stunt, he cracked his ribs. Jason Statham is known for performing his own stunts in movies such as The Italian Job and The Transporter. 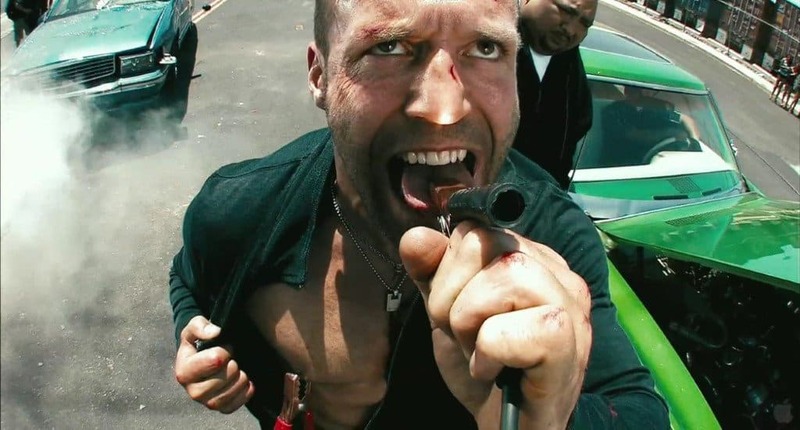 However, his most outrageous stunts were performed while filming the movie Crank. In one scene he had to drive on a motorbike at high speeds throughout the streets of LA. Fortunately, he didn’t crash because he was clothed in nothing but a hospital gown. 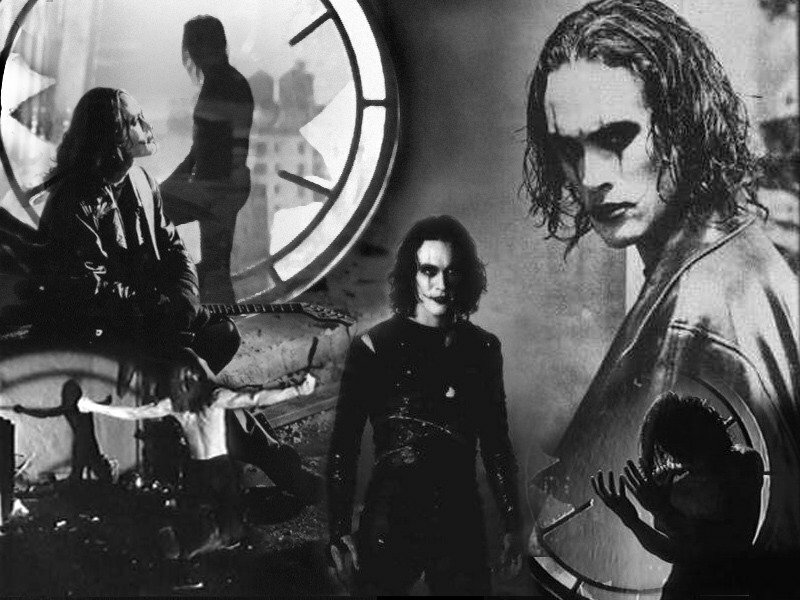 Brandon Lee suffered a fatal injury while filming the movie The Crow. A gun prop malfunctioned during one shot and when the trigger was pulled again Lee was shot and died hours later at the hospital. The Man With The Golden Gun was paid £30,000 for his car scene. He was tasked with driving a car over the ramping water at high speeds, which sent the car into a 360-degree spin while in mid air. Fortunately, the car lands back on its wheels on the other side of the road. Christopher Knight had to perform a stunt that involved a truck flip during the filming of The Dark Knight. 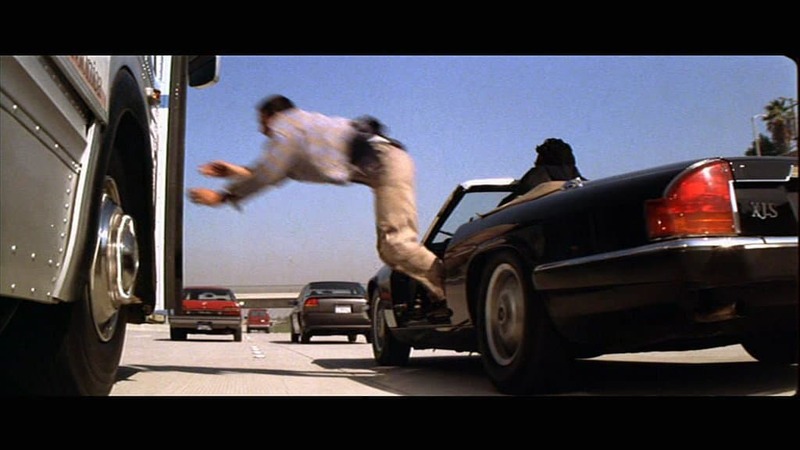 Instead of using a dummy or a stuntman, Knight performed the stunt himself. Fortunately, he executed it perfectly.